One mid-tier accounting firm has found that the resources sector is coming back to life, with notable increases in investment activity and financing cash flows. 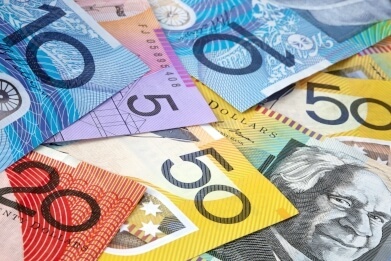 The recently released BDO Explorer Quarterly Cash Update, which is derived from the cash position of Australian-listed explorers based on quarterly Appendix 5B reports lodged with the Australian Stock Exchange, revealed positive signs in the resources sector. For the quarter ending 30 June 2017, net investing cash flows from Australian-listed explorers totalled $269 million, up by 103 per cent from $133 million in the previous quarter. Meanwhile, total exploration expenditure totalled $338 million in the June quarter, up by 11 per cent from $305 million in the previous quarter. “As expected, the revival of increased exploration activity has continued this quarter. We’ve seen optimism build through positive energy and attendance at [recent conferences], and we expect to see further capital raised towards the end of the calendar year. Positive talk has now turned into actual deals,” said Sherif Andrawes, national leader, natural resources at BDO. The data also revealed that net operating cash outflows increased from $514 million to $717 million in the June 2017 quarter, the highest since the March 2015 quarter. “Companies are spending more cash on investing and exploration. It’s encouraging to see that they’re doing this whilst controlling their administration costs, which increased by only 11 per cent in the quarter,” Mr Andrawes said. “We expect to see further capital raised during the next few months as we head towards the end of the calendar year. M&A activity should continue. Vendors are typically narrowing their focus to a limited number of key projects, providing opportunity to acquirers with interests in advanced niche projects.